It is with regret that the Ministry of Defence must confirm that Lance Corporal Joseph McFarlane Pool of The Royal Scots Borderers, 1st Battalion The Royal Regiment of Scotland, was killed in Afghanistan on Sunday 5 September 2010. 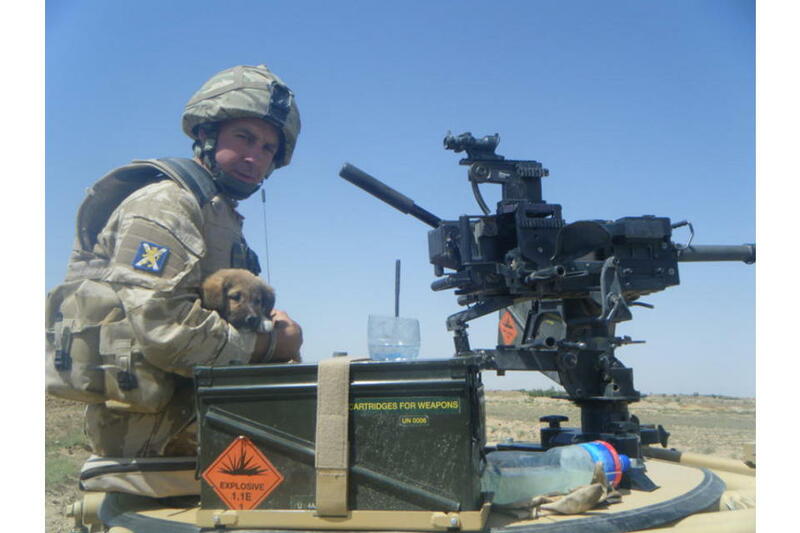 Lance Corporal Pool was serving as part of the Brigade Reconnaissance Force in Helmand province, involved in conducting operations over the last few months aimed at bettering the lives of the local people by improving security and increasing their freedom of movement. On Sunday 5 September 2010, the Brigade Reconnaissance Force were completing an operation in the Nad ‘Ali (North) district to disrupt the insurgency by denying enemy freedom of movement and were conducting a series of searches on compounds of interest. At approximately 0700hrs during an exchange of fire with insurgents, Lance Corporal Pool was killed in action following a rocket-propelled grenade attack. Lance Corporal Pool, aged 26, was originally from Dumfries but lived in Greenock, and enlisted in the Army in August 2003. After completing the Combat Infantryman’s Course at the Infantry Training Centre Catterick he joined 1st Battalion The King’s Own Scottish Borderers before the formation of The Royal Regiment of Scotland in March 2006. His dedication to his comrades on the battlefield was only surpassed by that to his family; his fiancee Lynsey and sons Lee and Jamie were never far from his thoughts. He also leaves behind his mother and father, Stella and Roddy, and brother Ryan. Joseph was a loving son to Stella and Roderick, brother of Ryan, loving father of Lee and Jamie and devoted partner to Lynsey. Joseph lived life to the full and was proud of everything he achieved in the Army, always putting others first and doing the best he could at all he did. The family would be grateful if the media respect their privacy and let them grieve in peace at this time. RIP son, we will always love you. Joe was a loving fiance and wonderful dad of two boys aged seven and two; he was much loved and he will be missed by all his family and friends. Lance Corporal Joe Pool of 1st Battalion The Royal Regiment of Scotland was killed in action in Nad ‘Ali district on Sunday 5 September. A former King’s Own Scottish Borderer, Joe was no stranger to operational tours, having served previously in Northern Ireland and Iraq. Fit and tough as a butcher’s dog, he had recently qualified as a Physical Training Instructor and an Anti-Tank Detachment Commander. I take some small comfort from the knowledge that he died doing a job that he loved and that he was so very good at. He died a soldier’s death, in close combat, bravely and tenaciously taking the fight to the insurgents, and in doing so helping to protect the people of Afghanistan from a barbaric enemy. I suspect that he believed passionately in what he was doing, and I know that he enjoyed it. Like so many young soldiers of his generation he had an irrepressible sense of adventure, and a talent for this unique profession of ours. I first met him in Iraq in early 2008 where he was serving with the Brigade Surveillance Company; a task reserved only for the best soldiers within the battalion, and a job which patently suited his natural soldiering skills. I was not at all surprised that he volunteered for the Brigade Reconnaissance Force during our tour in Afghanistan, or that he passed the demanding selection and training course with relative ease. As a member of the Brigade Reconnaissance Force he has been at the forefront of this counter-insurgency campaign over the last five months. Arguably they have seen more action than any other sub-unit during this deployment, and Joe was always at the vanguard of their fight. Despite the intensity of the fight he remained undaunted throughout, part of a close-knit band of brothers for whom heroism, gallantry, service and sacrifice are more than mere words. I am exceptionally proud to have been his Commanding Officer over the past two years. The battalion and the regiment have lost a very capable junior commander. We will miss him, and will remember him always. But our loss can never compare to that of his family; his fiancee Lynsey, his two young sons Lee and Jamie, his parents, Roddy and Stella, and his younger brother Ryan. Our thoughts and our prayers are with them at this dreadful time. Lance Corporal Joe Pool was killed in action whilst in a firefight with insurgents in northern Nad ‘Ali, fighting alongside his brothers-in-arms in the Brigade Reconnaissance Force, doing a job that he loved and was deeply proud of. Joe was the ultimate Scotsman, exceptionally proud of his heritage, tough, stoical, and incredibly loyal. An outstanding soldier and Junior Non-Commissioned Officer but above all he was a true friend to all in the Brigade Reconnaissance Force. Courageous and resilient, he was always at the forefront of the fight, leading the way, protecting his men and inspiring them through the tough times they endured. It was a privilege to have known and served with such an outstanding character who made such a mark on us all. Our thoughts and prayers are with his fiancee and his two boys that he leaves behind. He died a hero, protecting those he led, selfless to the last. He will never be forgotten. Lance Corporal Joe Pool was a committed and enthusiastic member of Delta Company, as well as a friend and supporter to so many of us. At the very first opportunity to do so, Joe volunteered to serve in the Brigade Reconnaissance Force, the most demanding role for an infantryman in Helmand. He wore the responsibilities of this important and difficult job lightly and was well known as a hardworking and highly professional combat infantryman. Joe will be missed by his friends in Delta Company and as much by those with whom he shared the daily risks and hardships within the Brigade Reconnaissance Force. Joe’s sacrifice leaves a gap in our ranks and our hearts that cannot be filled, but his courage and spirit will inspire us for the rest of our lives. Our thoughts and prayers go with Joe’s family and friends. Lance Corporal Pool was a pleasure to command in the Javelin Platoon. As a Physical Training Instructor he was one of the fittest men I know. This combined with his quiet sense of humour would have him cracking jokes when the rest of us were exhausted during loaded marches. An utterly reliable individual, Lance Corporal Pool was one of the core men in the platoon. He will be sorely missed by anyone who had the pleasure to work with him. Our thoughts are with his family at this difficult time. Joe was one of my recruits at the Infantry Training Centre Catterick. A likeable, robust and reliable soldier with a witty sense of humour, Joe was liked by all members of his platoon and even more by his section members, and would put his neck on the line for any of them; even when it would cost him a broken jaw. Joe was fair, and at the front of every event. Never one to back down nor give up, his tenacious and aggressive style of soldiering saw him excel in training, gaining the award of best at physical training. Always untouchable and leading from the front on every occasion, this trait continued with him through battalion life and to the end. Poolie would have no doubt gone far in the battalion. Already a Lance Corporal, and a strong one at that, he could have breezed through any course thrown at him and was ready for that next step. A better soldier you could not want by your side. As a soldier, he was in his element with cam-cream on, a bayonet fixed and in the thick of the action. I have no doubt that Joe loved every minute of his time with the Brigade Reconnaissance Force where I imagine he stood out a mile. Joe will leave a massive gap within his peers in the battalion and will be missed by all in a tight-knit Javelin Platoon. Our thoughts and regards go out to your young family buddy. You are in our hearts mate. Rest in Peace, you will never be forgotten. Lance Corporal Joe Pool was a true character within the battalion and a great team player, working with the other Physical Training Instructors in the gymnasium. His calm relaxed approach to life made him fit in straight away with the rest of the gym staff. He was always up for a laugh and loved to be amongst the wind-ups on whoever it was that day; many a time he would be the instigator. He was a Physical Training Instructor who took a lot of pride in developing and motivating the soldiers he trained, always getting the best out of his lessons and students - notably during Mission Specific Training, ensuring the battalion was battle-fit for Operation HERRICK 12. Joe was a very competitive sportsman, best renowned for his performances in the boxing ring, and most notably last year when he represented the battalion in a three-round hard fought battle against a 3rd Battalion The Rifles Regiment opponent. Joe will always be missed as a colleague and even more so as a friend; the gym will not be the same without him. My thoughts are with all his family and friends at this sad time. I first met Joe in 2007 during pre-deployment training for Operation TELIC 11. I spent six months working closely with him, operating with the Brigade Surveillance Company. In 2009 I was lucky enough to be selected along with Joe to be part of the Brigade Reconnaissance Force for Operation HERRICK 12. Joe was immensely proud to be a Brigade Reconnaissance Force soldier. The fighting was fierce and the operations dangerous but Joe showed no fear and would constantly be in the thick of things during any contact. He was a cracking soldier, always up for a laugh, never afraid to help the lads whenever he could. He was completely dedicated to his job and he gained the respect and friendship of all he served with. Joe was also a die-hard Celtic fan. I think the only thing he loved more than his beloved football club was his fiancee and children. Joe will be sorely missed by many, particularly by the Brigade Reconnaissance Force and the boys in the Javelin Platoon. My heart goes out to those who will miss him most, his fiancee, his family, and his friends at home in Scotland. Sleep easy you Scottish Warrior, gone but not forgotten. I was extremely saddened to learn of the death of Lance Corporal Pool while he was fighting to improve the lives of people in Nad ‘Ali, in Helmand. He was a proud Scotsman and a talented soldier who shone in demanding specialist roles. He will be sorely missed by his colleagues but his loss will be most keenly felt by his family, and my thoughts are with them at this difficult time.